Bihar Police Constable Admit Card 2018 Now Released with Written Exam Date, Call letter, Bihar Police Sipahi (Constable) Admit Card 2018. Bihar Teacher recruitment 2018 TET BSEB Urdu Teacher Vacancy niyojan latest news 30000 Govt Jobs Bihar 30000 Teacher recruitment 2018 Junior Highschool. 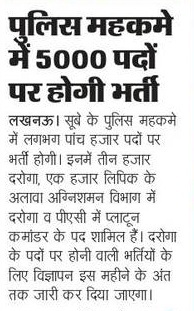 UP Police Clerk Recruitment 2018 Apply online for 5,000 + Gopniya Sahayak, Lekhakar & Clerk Bharti from official website prpb.gov.in. 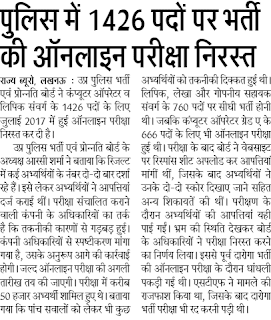 UP Police Computer Operator Recruitment 2018 Latest News to fill 1426 vacancies of 666 Computer Operator Grade A & 760 posts for fill Lipik, Lekhakar and Gopniya Sahayak. For More detail read below notification.